Architecture and design firm Schwinge has created a futuristic yacht concept that can float above water. 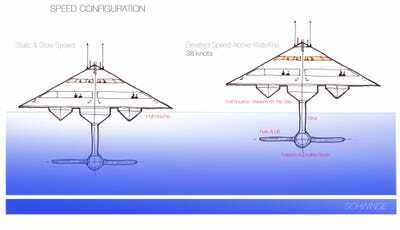 The alien-looking yacht could help make sea travel smoother in rougher conditions. 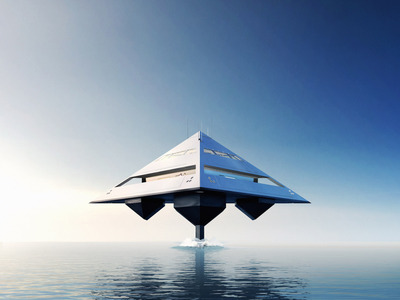 Scroll down for a closer look at Schwinge’s Tetrahedron superyacht. 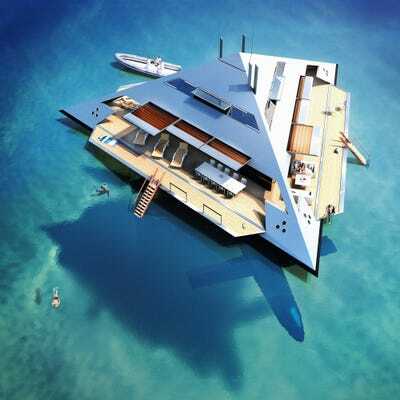 The superyacht can hover above water thanks to something called a Hydrofoil Small Waterplane Area Ship (HYSWAS) hull. 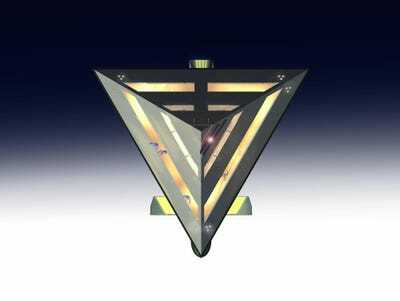 Basically, the hull is fitted with blades that can push water. When the blades are operating at low speeds, the superyacht can glide on water. But when the blades move at high-speeds, it pushes enough water out of the way that the yacht can hover. 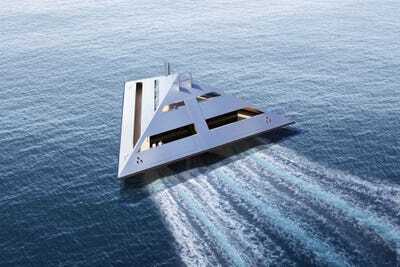 Not only can the superyacht avoid rough seas by floating above the ocean, it can also travel longer distances because the boat's design reduces drag, according to Schwinge. 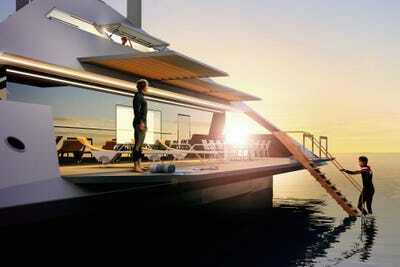 When the yacht docks, its three sides fold down to become large deck areas. There's also overhead panels that fan out to provide shade. Schwinge is working with a large shipyard that it's keeping confidential to push the design forward. 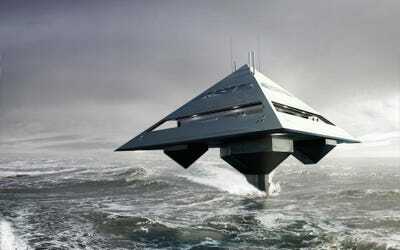 So you could see the alien superyacht sooner than you think!